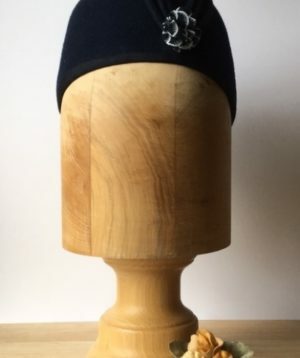 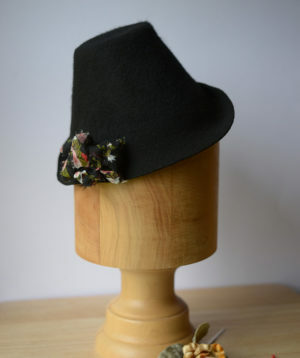 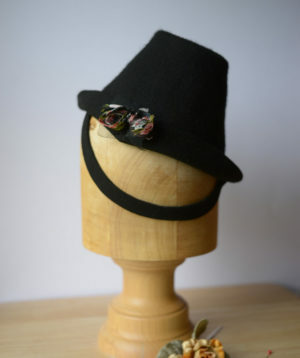 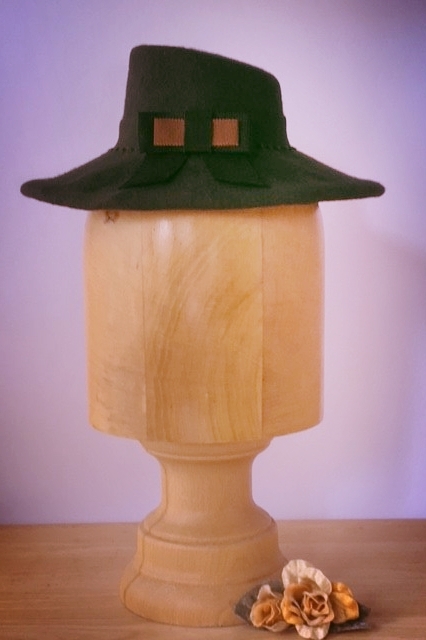 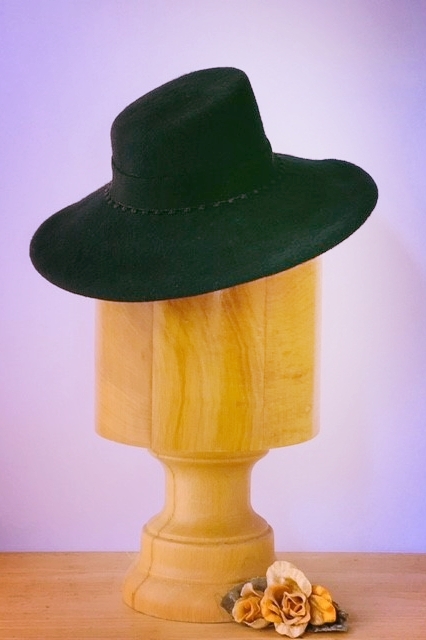 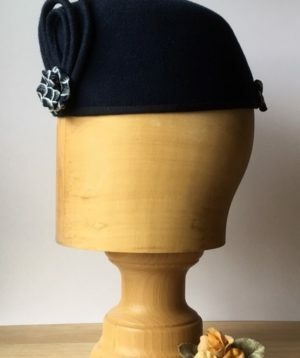 Another lovely example of the popular Meriel hat. 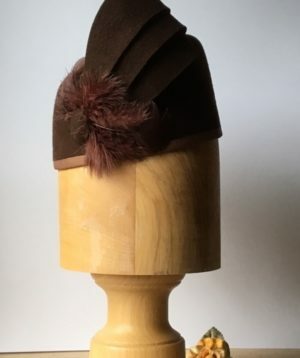 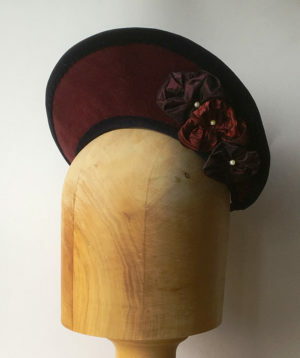 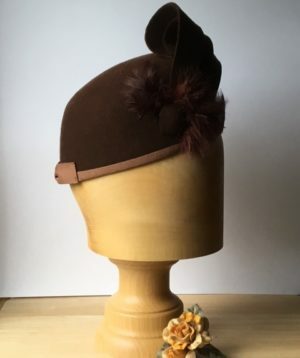 This time in a deep grey with vintage scalloped millinery petersham ribbon around crown, continued into a bow at rear and contrasted with a brown grosbgrain ribbon. 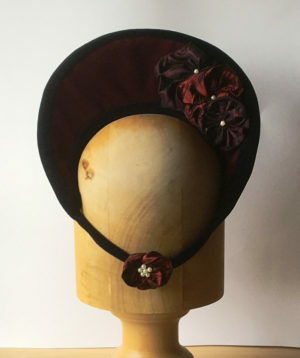 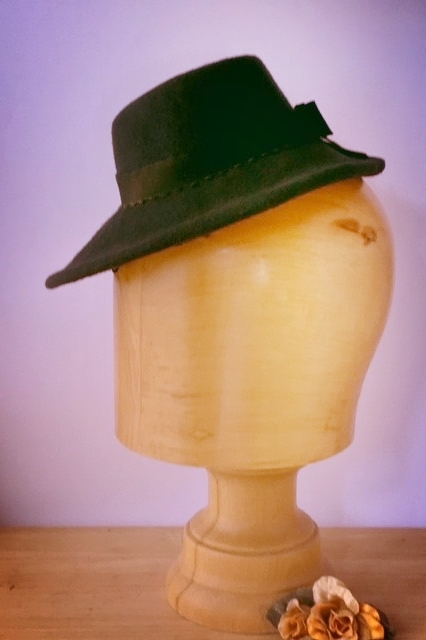 The brim is wired and finished with millinery petersham ribbon. 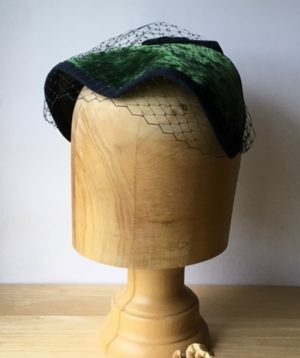 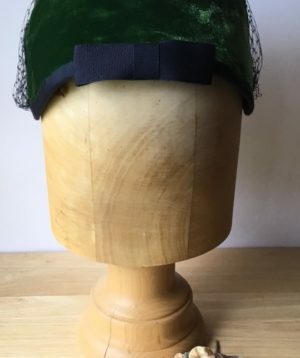 The crown has been reinforced with a paris net stiffening fabric and the hat is lined with signature Minivers Vintage fabric.